You might remember that we started a new blog series at the very end of the summer called Cocktail Roulette. 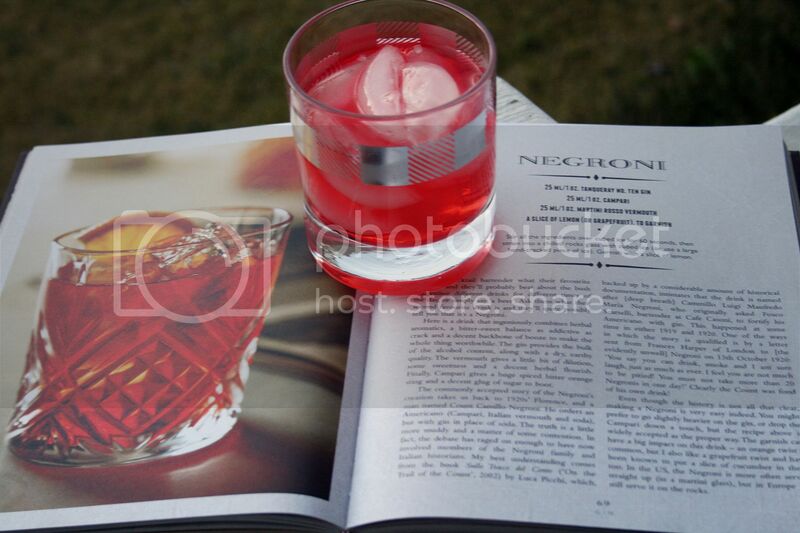 The idea is simple, we randomly select a page in one of our bartending books and then make a cocktail! Wham, bam, thank you ma'am. It serves two purposes: we actually get use out of the books sitting on our bar carts AND we learn how to make a new cocktail in the process! The first cocktail that was selected was a Blackberry Bramble, which you can read about here. This time around, I experimented with a different way of selecting the cards that I would use to determine the page number in the book. That's right, I got my pup Murphy in on the action! 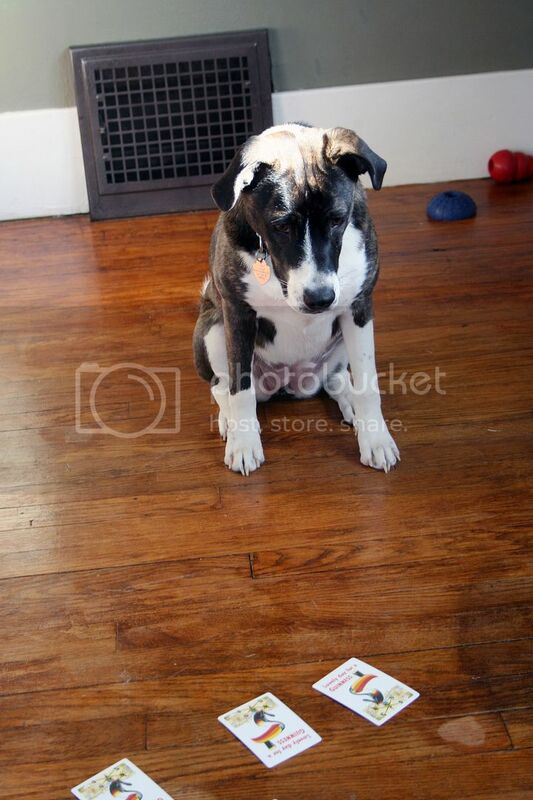 I shuffled up a deck of cards and laid several out in front of her. 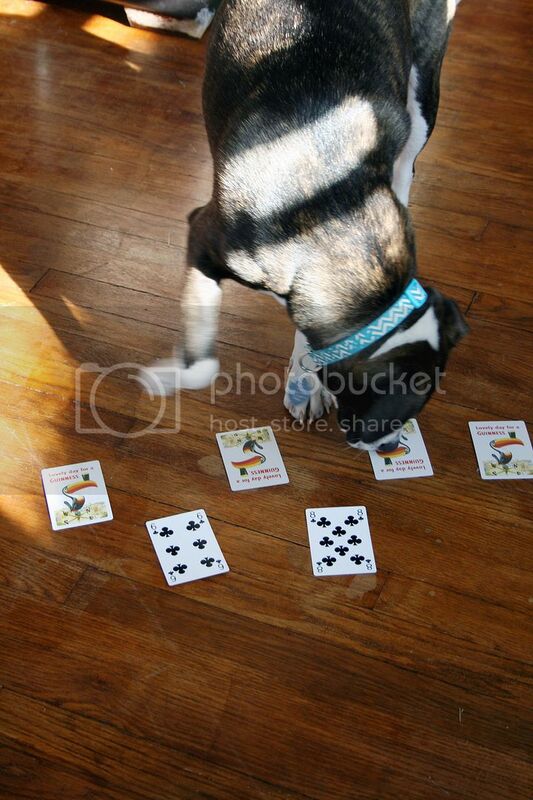 Then, whichever cards she sniffed or touched first, I flipped over in their place in the line. The two number combinations that pointed to a corresponding recipe in the book is what I went with. 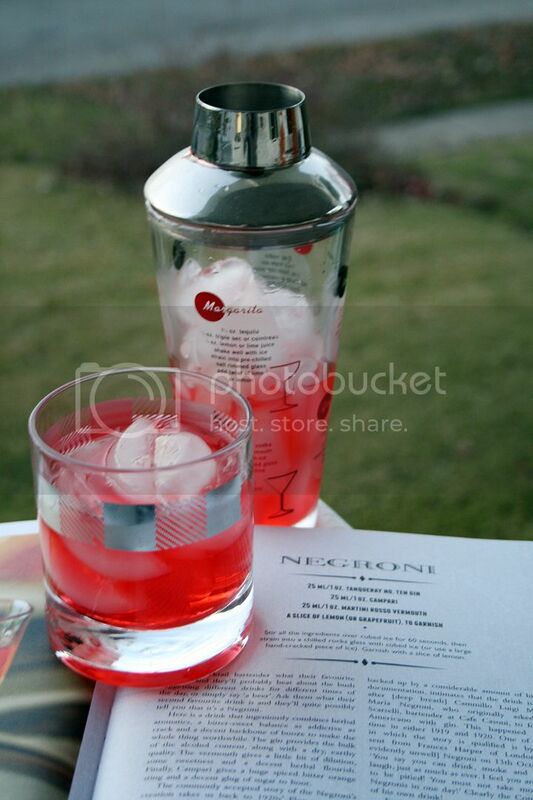 This time around, we landed on a Negroni. 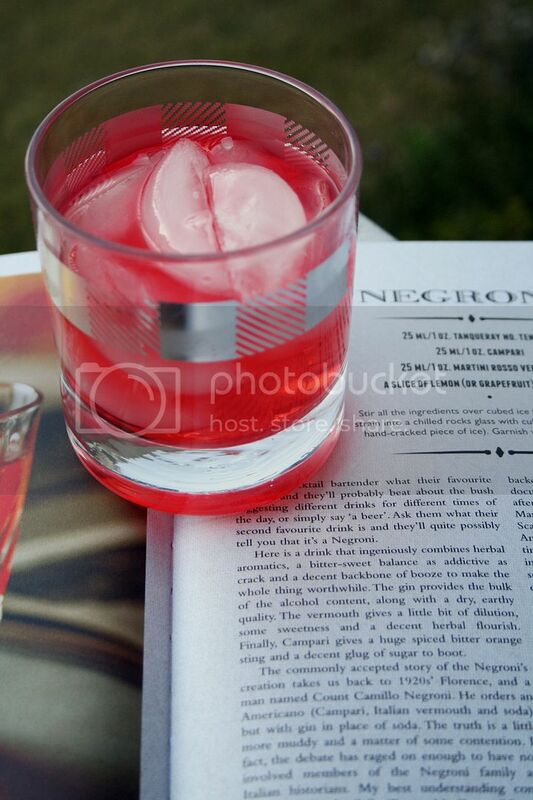 It's another classic cocktail using gin, Campari and vermouth. It's quite bitter, which isn't really my thing, but I added a little bit of lemon juice which helped to cut the flavor a bit. I made one for my husband too and he loved it! Which is great because now we have a $30 bottle of Campari on our bar cart that needs to be put to use. I learned my lesson from last time and didn't try to go a different route for the liquer, I got the real deal. Here's the recipe for you to try at home! Stir all ingredients over cubed ice for 60 seconds, then strain into a chilled rocks glass with cubed ice. Garnish with lemon slice.